I rode in the European Championships on Sunday. When I lined up for my first 4th Category race 7 years ago, wondering why everyone was shaving their legs, I didn’t in my wildest dreams believe this would be happening. Yet, on Sunday, I lined up with Steve, Lee and Rich; 3 friends and team mates on the start line near Gent in Belgium for a 63km or 9-lap race on fully-closed roads. 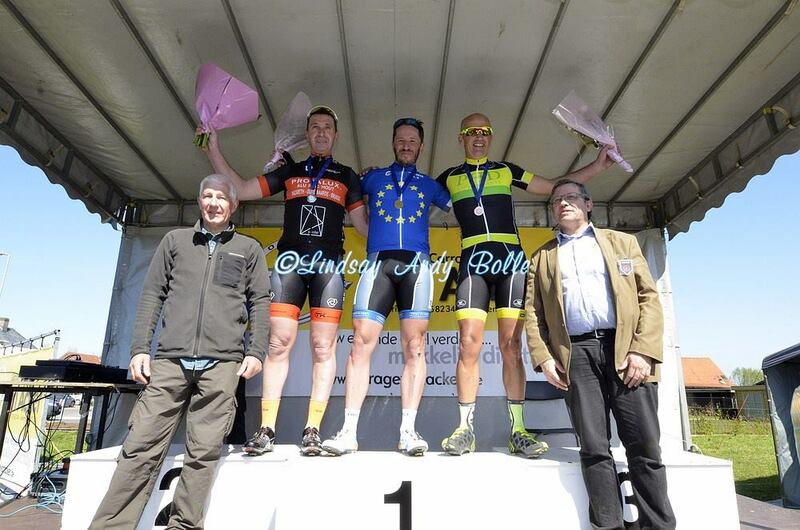 We were entered in the 40-49 year old European Masters’ Road Championships. 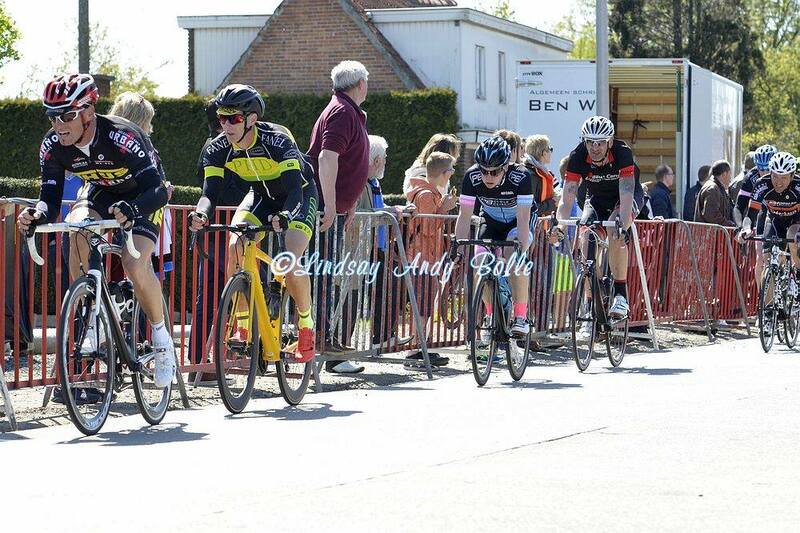 Racing in Belgian is so blimmin’ awesome (no ducking swear-checkers are blocking me this week!). A weekend race in England costs upwards of £20, is based in a village hall with (if you’re lucky) instant teas and coffees, is played out on pothole-ridden roads, prizes either don’t exist or they only go to the top 3, it’s in front of a crowd of about 15 with traffic coming at you at over 50 mph marshalled by inexperienced volunteers who don’t have the legal power to stop cars! I know know it sounds like a dream, where do you sign? However you need to form an orderly queue people because there’s a waiting list of idiots like me who want to race them!! The Belgian race at the weekend cost us 20 Euros (we even get a one-day licence for that) but when you return your race number you get 5 Euros back. It is based in a small farming town in Flanders yet they erected huge marquees serving alcohol, hot food and playing music (who doesn’t like warming up to “Boys Boys Boys” by Sabrina?!). Prizes on this day went down to 30th (yes 30th) place and potholes are as rare as a Belgian cyclist without fake tan and oil on his legs. The beers are flowing, the crowds gather and there is a party feel about the place. The police help the marshals to close the whole road and if you park your car anywhere on the 7km loop it is towed away!! In Kent there is one particular house where the owner makes a point of trimming his (thorny) hedge whilst our race is on!! What a swear-checker. Oh I forgot to mention, UK races normally fill up 8 weeks before the race as the number of entries is capped but in Flanders there is no maximum field size so you enter on the day!!! In the end I think 85 of us graced the start line that day. Everything, he is inferring, does not go right. Ever. Get over it. The race began as every single Belgian race begins; fast. This time though I was there to race so as the first breakaway went up the road (2.6 seconds after the start) I went with it. Riders came across to join us and shouts of (I assume) “come on we have a gap” could be heard. 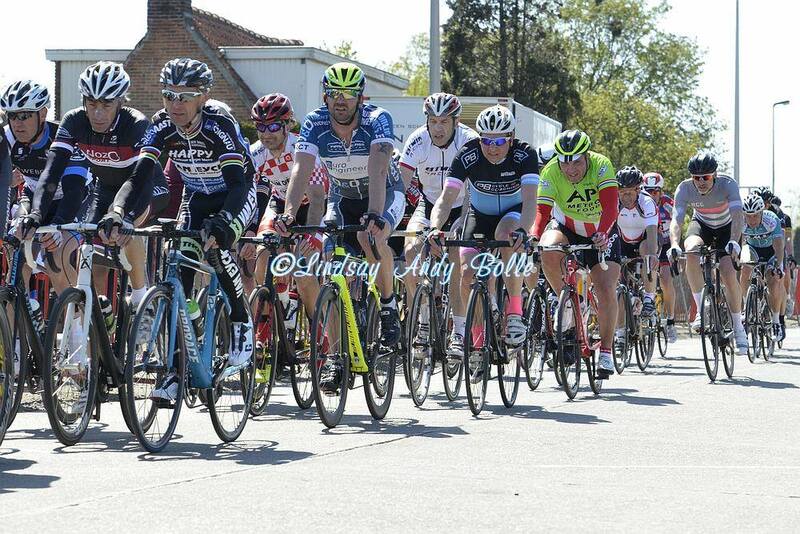 I was 2 minutes into the European Championships and I was in a breakaway! I was obviously going to wake up at some point and start getting ready to go to Belgium for the day. No, it was really happening. Everyone took their turns and for a few minutes this was the biggest rush ever. Then it dawned on me that my legs were already screaming, my lungs were burning and my heart was trying burst through my ribs and we had only been racing for 5 minutes!! 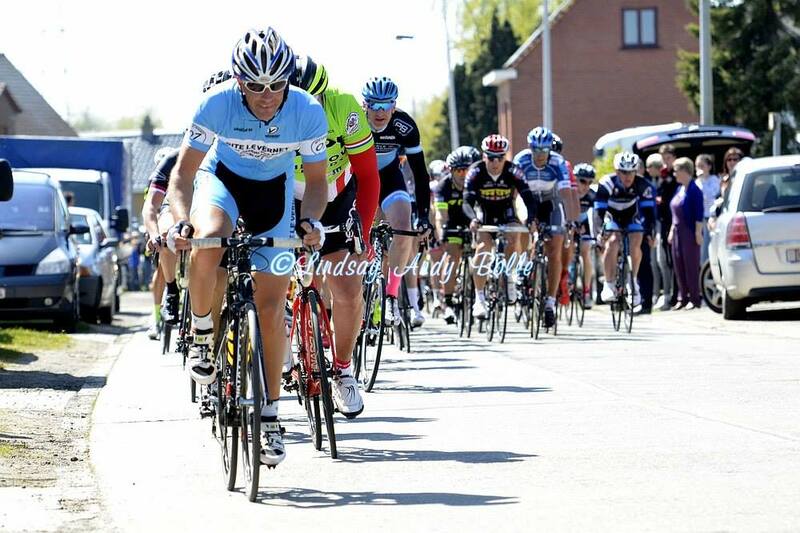 Panic over as we were caught by the peloton and I slotted in comfortably into the shelter of the pack. I love racing in Belgium; from the traffic islands in the middle of the road where you have to decide, at speed, whether to go left or right whilst hoping everyone else decides the same to the random cobbled sections (if it doesn’t rain!) or the way the riders use the cycle paths and pavements to move up. I love the Flemish commentary over the PA system each time you cross the start/finish line and above all the aggressive style of racing. Not only is it fast and furious it is also shoulder-to-shoulder, elbow-to-elbow stuff, where being shouted at is all part of the experience. Riding assertively is an amazing thing, you should try it. People let you into gaps and give you space. What’s more, when you arrive back home it is so much easier to move around the peloton. You can fit 2 Belgians in that gap! There is one more thing that I forgot to mention about racing in Flanders that I love so much: It is flat. It is very flat. ‘1 metre of climbing every kilometre’ flat. At 90kg this means that the sport finally takes place on a level playing field. What’s more the sun is shining and I’m warm. Mr Grumpy from Kent now thinks he’s Mr Boonen from Flanders. A flat course is easy then right? Corners and crosswinds my friend. Corners and crosswinds. Over the back side of the circuit there was a right-hander that took us into a crosswind from the right. They know this. They know about the concertina effect coming out of this corner and they are word-leaders at putting you ‘in the gutter’. If you’re expecting to travel quicker than a motivated breakaway that is already travelling faster than a peloton averaging 26-27 mph then you’ve got to cross that gap quicker than you can say “I’ve got a hidden motor on my bike” otherwise you’ll simply run out of steam before you make it. If you go across too steadily you’ll take everyone with you and all your efforts will be wasted!! Until this year I’ve rarely had the fitness and therefore the confidence to even contemplate such a feat but I am becoming a ‘do now, think later’ kinda guy in bike races i.e. it is all too easy to question whether you ‘can’ do something and by that time it’s too late anyway. Just a warning that if you have your internet open on the ‘new bikes’ tab of the Wiggle’ website right now, a ‘do now, think later’ approach might prove quite costly. So I bridged the gap on my own. I bridged the bloody gap on my own in the European bloody Championships! This is a good day. Even if the race ended here, this is a good day. 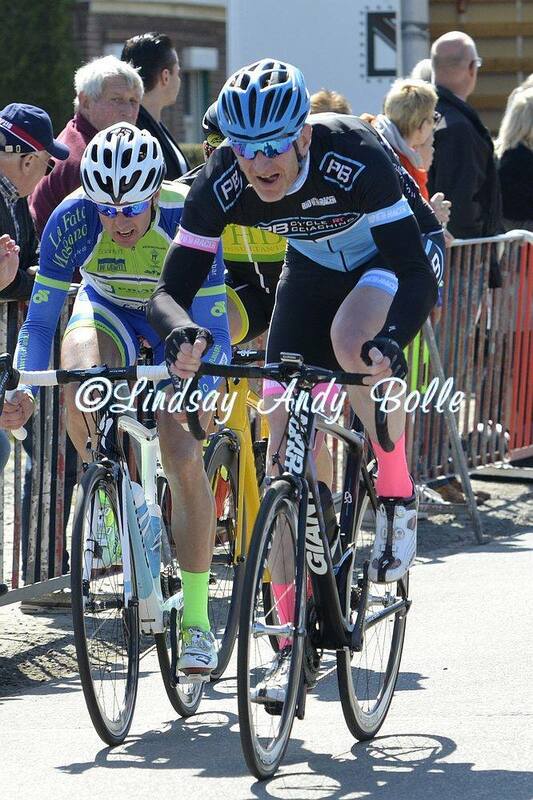 God I love bike racing. 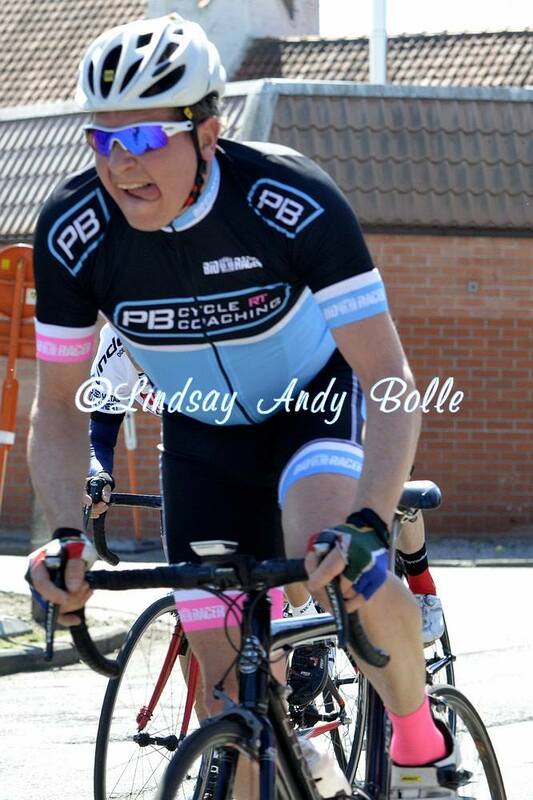 Inevitably, no sooner had I sat on the back of the group hyperventilating, asphyxiating, gasping and choking the peloton had caught us but hey I tried. Then we hit that right-hander. I immediately experienced the agony of the concertina effect coming out of the corner and the pain of being put into the left hand gutter as the wind came from the right. The problem was I had just put in my ‘race-winning effort’. Being put in the gutter is a technique used to give riders behind you as little shelter as possible in a crosswind. In Belgium the side of the road often drops away a little bit too so in this instance it was a scary balance between being too far right (and being hit by the wind like a punch in the face) and being too far left (and falling off the tarmac into the ditch). Take your pick. They are both about as pleasant as sticking pins on your eyes and worse considering the effort I’d just made. ‘It’s not often the first attack that wins, it’s the attack over the attack, or even the one over that that’s usually successful’. Why did I only remember this now? Something to do with all the blood having left my brain and being in my legs I guess? We were strung out in one line and I could just about see up ahead that weaker riders were leaving gaps. Lesson: Don’t follow weaker riders! We were all on our knees so we watched, helplessly, as 8 or so riders just rode away never to be seen again. This was annoying but hey, the four of us were still having a storming race. I may have been down but I certainly wasn’t out. Lee then drilled it on the front for what seemed like ages. I was sitting in 5th wheel, looking over my shoulder sporadically, enjoying the fact that everyone was in one line, a sign that Lee was in control of the whole of the European Championships!! I had a huge grin on my face. I was just having fun now so I rode up to Lee to tell him what an awesome job he was doing (he knows that what I really thought was that he shouldn’t have been on the front in the wind but hey it was his moment!). Then Rich came up to me and put his arm around me (he’s South African, where he comes from there are many more dangerous things to contend than putting your arm around someone when racing a bike at 30 mph!). Let’s not go down the route of ‘why is a Saffa doing the Europeans?’ as I don’t even think he knows! Last year Steve was attending my Novice Racers’ Training Days to improve his bike handling, today he is passing me on the pavement in a Belgian kermesse, then bunny hopping down onto the cobbled section and back on to the pavement. Maybe this was a dream after all? His manner was a tad uncouth of course; you’d never hear me using such profanities. All 4 of us were riding in the top 10 of the peloton, making it one of those rare times when it’s socially acceptable for a man to admire 3 other lycra-clad men with shaven legs and pink socks. We were bringing it. “Laste Ronde. Laste Ronde.” Music to my ears as this came over the PA system. In case we were in any doubt this was followed up with the English translation: “Last lap”. A courteous touch. If a shot of adrenaline helps you make an effort that you would never make ordinarily and the biggest shot of adrenaline you’ll ever receive (without the help of Lance Armstrong’s Doctor) is when taking the bell in front of huge crowds in the sunshine at the European Champs then it would be a fool who didn’t put in one last attack at exactly that moment. 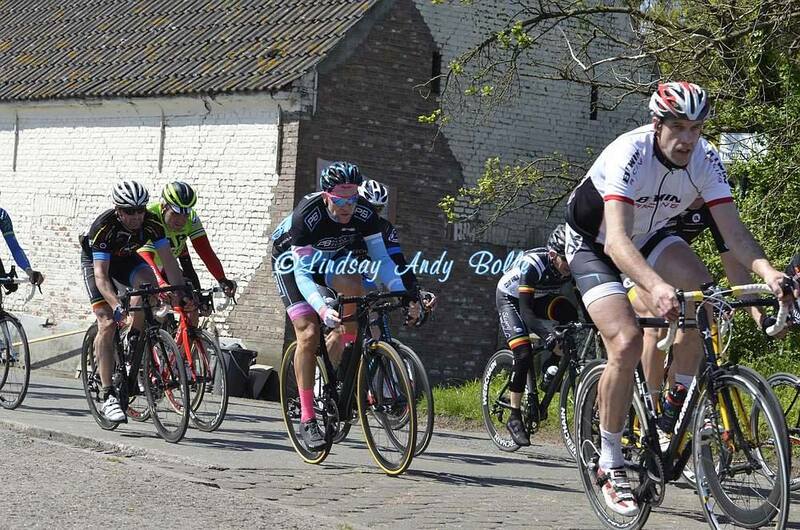 I took 2 riders away with me and then we hit the cobbled section. This was more suburban pedestrian shopping area than Forest of Arenberg but right now it felt like I was pedalling in treacle and I had to accept my race was going to come down to a bunch sprint. 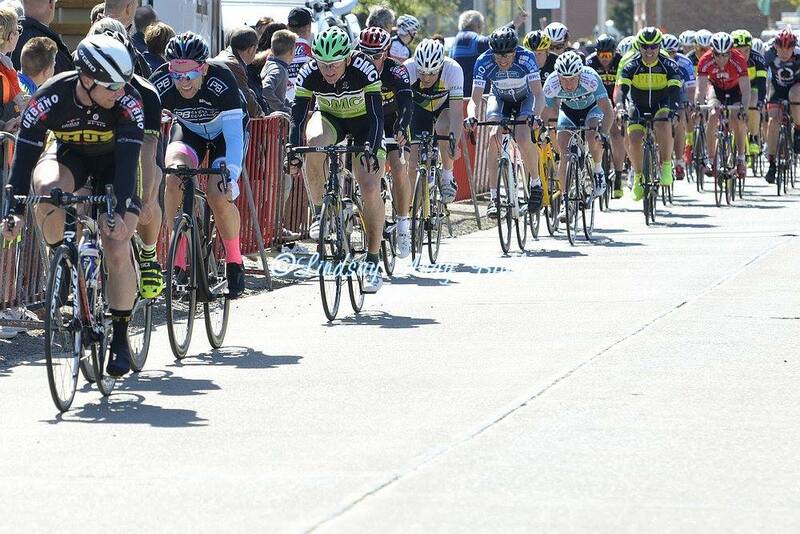 There is a reason why the sprinters like Cav, Kittel and Greipel don’t get in breakaways. It is because a breakaway attempt, no matter how short, leaves you feeling like you would the next day if somebody had been repeatedly punching you in the legs and then you went out and did tequila shots all night. To do well in a sprint you need to be fresh, not on the ragged edge. I had nothing left and with 1 km to go things were, as you’d expect from such a big race on the Belgian calendar, getting quite chaotic. 75 or so larger than average road cyclists were charging at the finish line and, in a way, it was easier to keep up than to give up and get trampled. 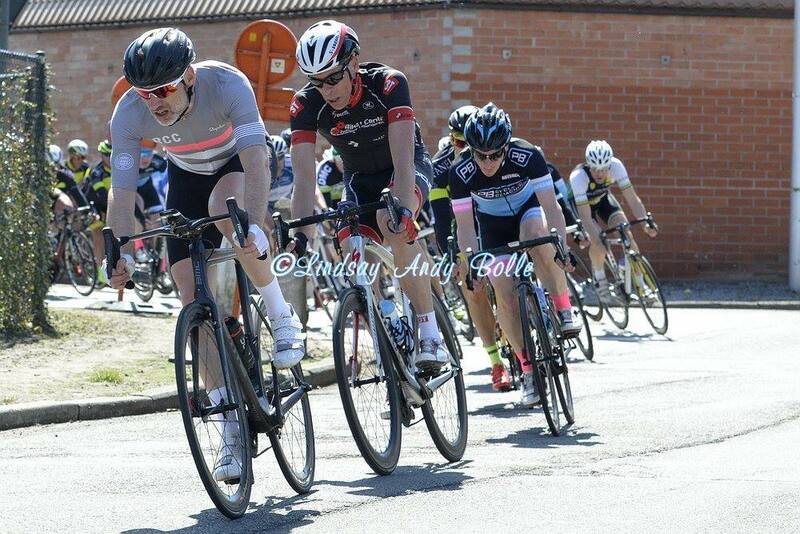 I took 9th in the sprint and learnt that, as 8 were in the breakaway, I had placed 17th in my first Europeans. That’s a bloody result. I’ll take that. Worth all that salmon and broccoli I reckon. I won 5 euros too. Does that mean I’m a professional now? Rich came 21st and Steve 28th, neither of whom had ever finished a Belgian race before today. Lee punctured with a lap to go which was a huge shame as he was on fire. Very proud of my team mates. Oh one more thing, in case you care. Did my knee pain have an effect on my performance and therefore does it give me the excuse I needed for missing the breakaway? I didn’t notice it in the slightest!